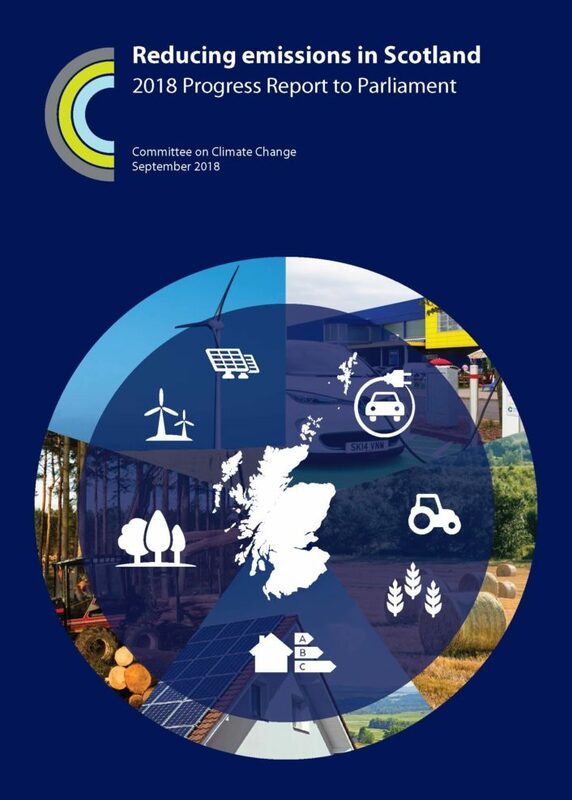 This is the Committee’s seventh report on Scotland’s progress towards meetings emissions targets, as requested by Scottish Ministers under the Climate Change (Scotland) Act 2009. Overall, Scotland continues to outperform the rest of the UK in reducing its greenhouse gas emissions, but successful strategies for energy and waste mask a lack of progress in other parts of the Scottish economy. The report shows that Scotland’s total emissions fell by 10% in 2016, compared to 2015. The lion’s share of this latest drop in emissions came from electricity generation. Overall, Scotland met its annual emissions targets in 2016. Scotland’s progress in reducing emissions from the power sector masks a lack of action in other areas, particularly transport, agriculture, forestry and land use. Low-carbon heat, transport, agriculture and forestry sector policies need to improve in order to hit 2032 emissions targets. The Scottish Government’s Climate Change Plan – published in February 2018 – now has sensible expectations across each sector to reduce emissions.